Breitbart CEO Stephen Bannon, who is Donald Trump’s pick for chief strategist. There is talk of Breitbart bureaus opening in Paris, Berlin and Cairo, spots where the populist right is on the rise. A bigger newsroom is coming in Washington, the better to cover a president-elect whose candidacy it embraced. Mainstream news outlets are soul-searching in the wake of being shocked by Donald Trump’s election last week. But the team at Breitbart News, the right-wing opinion and news website that some critics have denounced as a hate site, is elated — and eager to expand on a victory that it views as a profound validation of its cause. Breitbart not only championed Trump; its chairman, Stephen K. Bannon, helped run his campaign. On Sunday, Trump named Bannon as his chief White House strategist and senior counselor, further closing the distance between Breitbart’s newsroom and the president-elect. Those who consider Trump, who has vilified the news media, a threat to the free press view Bannon’s appointment as more cause for alarm. Critics say Breitbart now has the potential to play an unprecedented role in a modern presidency, as a weaponized media adjunct for the White House. “It will be as close as we are ever going to have — hopefully — to a state-run media enterprise,” said Kurt Bardella, a former Breitbart spokesman who quit the site this year, saying it had turned into a de facto super PAC for Trump. Breitbart has been denounced as misogynist, racist and xenophobic, and it served as a clearinghouse for attacks on Trump’s adversaries, spreading unsubstantiated rumors about Hillary Clinton’s health and undermining its own reporter, Michelle Fields, after she accused Corey Lewandowski, then Trump’s campaign manager, of assaulting her. 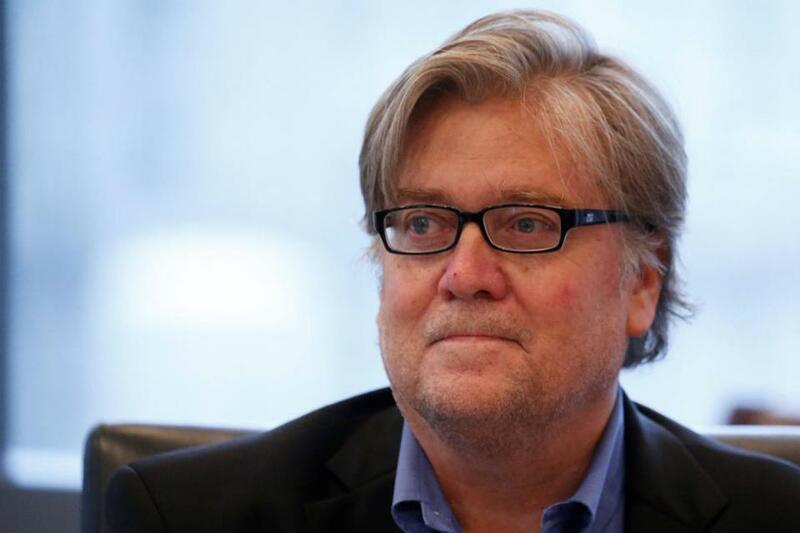 Marlow, the editor, praised Bannon on Sunday, saying, “Steve understands the voters, the American people, better than just about anyone.” But he rejected the premise that Breitbart could become an American version of Pravda. For now, Breitbart is supporting the president-elect. Its post-Election Day coverage has been, if anything, emboldened: “Meltdown Continues: Wave of Fake ‘Hate Crimes’ Sweeps Social Media,” read a headline on its home page on Sunday, attempting to cast doubt on a wave of reports of intimidation and harassment by Trump supporters. “Anti-Democracy Crybabies March by Thousands Nationwide,” read another. The site’s expansion of political coverage comes at a time when other news outlets in Washington are concerned about staying relevant with readers — and girding for tensions with a president-elect who denounces reporters as dishonest, or worse. A spokesman for the White House Correspondents’ Association, which coordinates press coverage of the White House, declined to comment on Bannon’s appointment. Andrew Breitbart, the site’s founder, who died in 2012, “used to talk about the Democrat-media complex,” recalled Ben Shapiro, Breitbart’s former editor-at-large. Outlets like Fox News, which has a large Republican audience, insist that Breitbart is no competitor, saying that an online-only outlet with few known personalities can hardly compete with television networks that reach tens of millions of homes. Breitbart receives far fewer unique web visitors than Fox News’ digital sites, according to statistics from comScore. Still, its Facebook audience has more than doubled in the past year, and it frequently sets the agenda for social media users with their own mass followings. The site has spotlighted nationalist views and conspiracies once relegated to the right-wing fringe. Marlow, the editor, said the site’s international expansion was tied to upcoming elections in France and Germany. He said that Breitbart planned to support the candidacy of Marine Le Pen, the leader of France’s far-right National Front party.